I’m a tad late to the game in posting, but this year, I’m tackling the popular Popsugar Reading Challenge, which offers a varied 40 prompts, as well as 10 advanced prompts for overachievers. Even though I managed to sneak in a bunch of titles already in my TBR, I can tell that some of these are going to force me to stretch myself outside my reading comfort zone – and I couldn’t be happier! If you’re anything like me, there’s an immense sense of satisfaction that comes from ticking off check boxes. I thought I’d turn that aspect of the challenge into something fun, too. I’ve been getting into the concept of bullet journaling lately because I wanted a less daunting way of tracking my fitness and diet routines as I prepare for fights. It’s a lot of fun and strangely relaxing, and if you haven’t heard of it before, I definitely recommend you check it out! 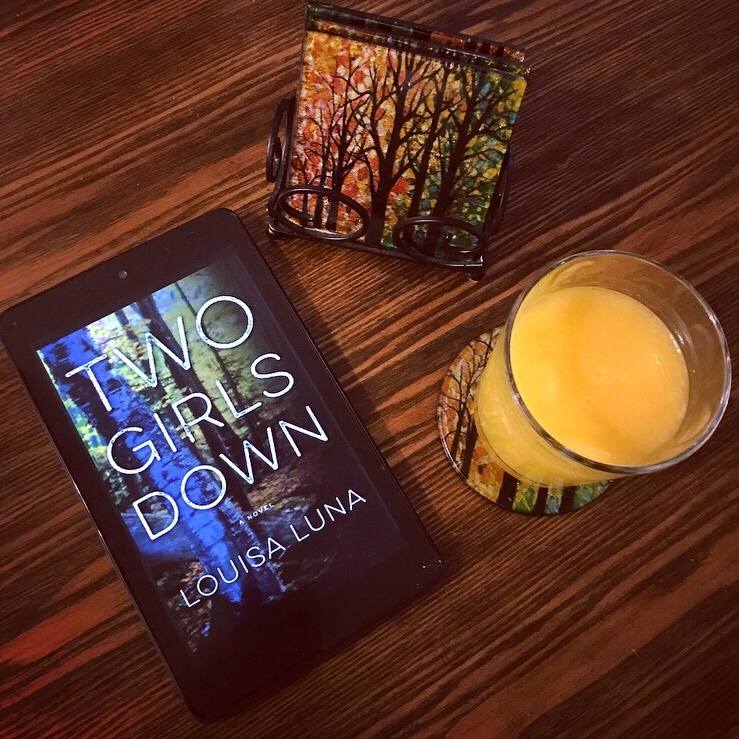 Two Girls Down is a fun, page-turning read littered with twists, turns, and red herrings that will keep you guessing all the way till the end. When Jamie Brandt’s two daughters disappear from a mall parking lot, bounty hunter Alice Vega teams up with ex-cop Max Caplan on the case. Together, they work with and against local law enforcement and the Feds to peel back the layers of the Brandt family and the Denville community – and there’s definitely plenty to unearth. She looked at the darkening sky, the lights sparkling on the distant Berkeley Hills. There were seven million lives around her. And a ghost was loose among them, hunting. It’s a rare occurrence that I fall in love with a thriller as immediately as I did with UNSUB, but I learned within the first few chapters that the hype over the past year has not been overrated. UNSUB is dark and wild and twisty and terrifying, and I loved every. Single. Moment. When the unsub (AKA the Prophet) began his sadistic killing spree, the Bay Area was shrouded in death and terror for months on end. Caitlin Hendrix’s childhood was marked by his reign more than most – her father couldn’t help but bring the horrors home as one of the lead investigators on the case. And then, just as suddenly as it all began, the Prophet disappeared into the wind, seeming to take her father’s sanity with him. Twenty years later, Caitlin has become a narcotics detective, following in her father’s footsteps yet at the same time trying to break free of his shadow. But when two bodies are discovered in a corn field bearing the nightmarish signature she’s far too well acquainted with, Caitlin knows there’s no one better suited to finding the answers that have eluded the police for decades. She was born for this. The Prophet has her number, though, and the stakes get personal – quick. In a heart-pounding race against the clock, Caitlin must unravel the brain of a brilliant psychopath before history repeats itself and the darkness drags her down, too.